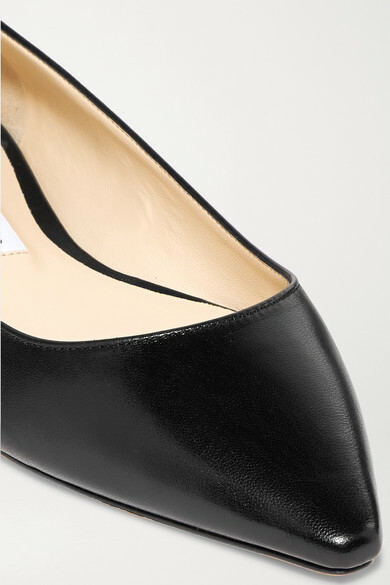 Scroll through our and you'll see that its iconic 'Romy' shoe comes in so many different colors and heights. 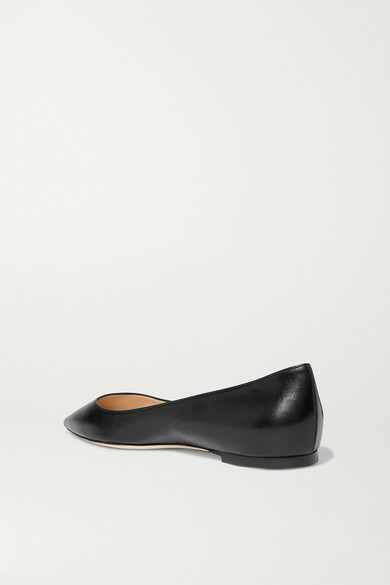 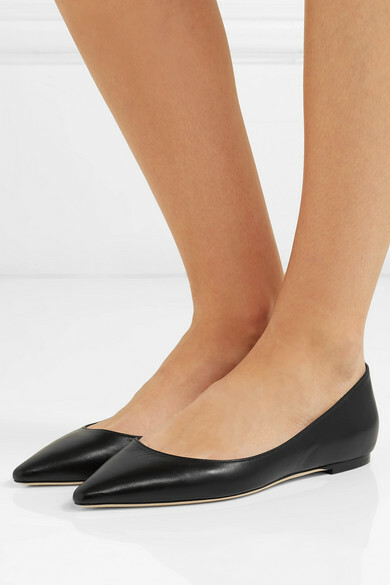 Perhaps the most classic and comfortable version available, this flat point-toe pair is made from smooth black leather and shaped with a low-cut vamp. 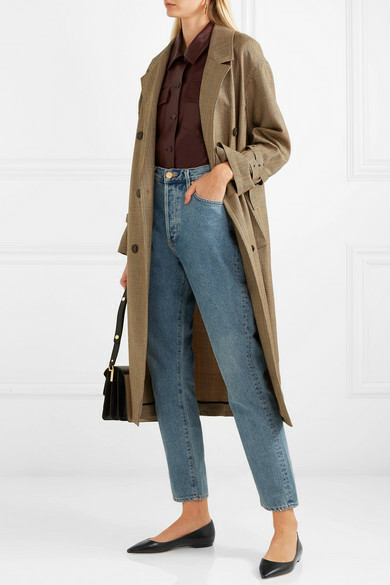 Shown here with: Goldsign Jeans, James Perse Tank, Sies Marjan Shirt, Sonia Rykiel Trench coat, Marni Belt Bag.